Muddy Stilettos shares Belgravia Gallery's Top Tips for Buying Art. 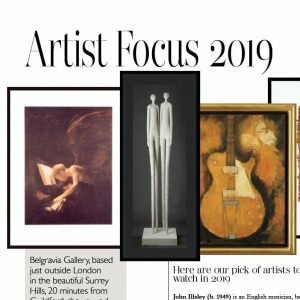 Life Magazines writes about some of our favourite artists including John Illsley, Charlie Mackesy and Bettina Seitz. 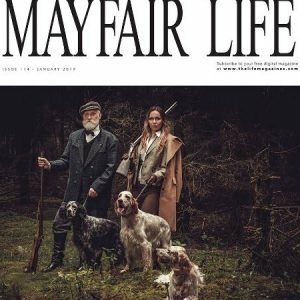 Life Magazines including Chelsea Life, Hampstead Life, Battersea Life and their other titles feature Belgravia Gallery and the artists they represent in their August 2018 edition. 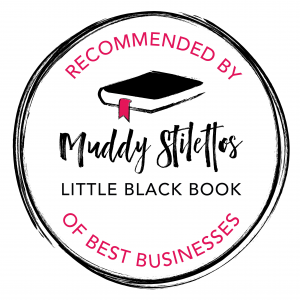 Muddy Stilettos, Surrey, interviews Belgravia Gallery and talks about its move to the countryside, and showing art in a home environment. 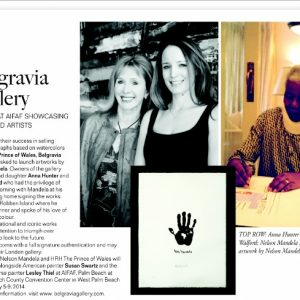 Anna Hunter and Laura Walford show Belgravia Gallery artists at the American International Fine Art Fair, Palm Beach. 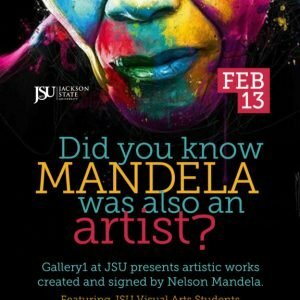 This exhibition showcased the artwork of Nelson Mandela at Jackson State University in Mississippi. Click here to see a catalogue of artworks by Nelson Mandela. A look at Belgravia Gallery press articles over the years.